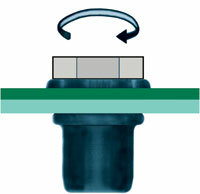 The Optimiser® is a revolutionary insert with great advantages. A true multi-grip threaded insert . It allows for installation in materials with thicknesses that are inconsistent. It also allows for less inventory by covering several grip ranges. Along with the multi-grip advantages, it also provides stronger threads and a tighter installation resulting in less thread damage and less possibility of "spin out". With stronger threads, it allows for less threads providing a smaller back side protrusion, if required. The revolutionary design and manufacturing process give it superior installation performance. It may be installed in oversized or irregular holes. 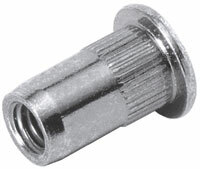 It also installs leaving a larger "footprint" than standard threaded inserts. For more information, please contact one of our sales engineers. unsurpassed in the industry. Available in both Imperial and Metric sizes. For additional information, please contact your IFT sales engineer. 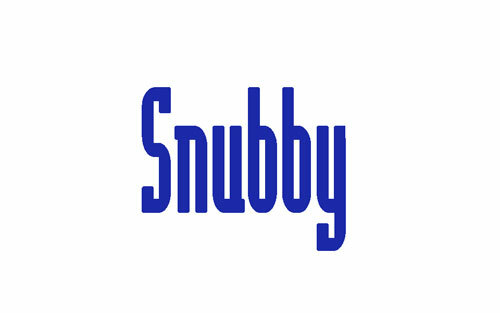 Snubby's back side protrusion is no more than most nuts. 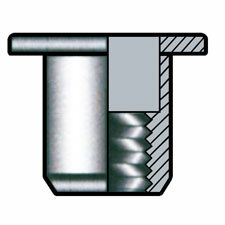 Due to this expertly designed and precision engineered fastener, it has adequate thread strength with fewer threads allowing very small back side clearances. Available in both Imperial and Metric sizes. Bumax® Stainless Steel Fasteners are the highest quality, graded stainless steel products made for extreme conditions in various environments where very harsh ambients are encountered. Through very stringent manufacturing procedures, a stronger, more corrosion resistant product is produced. Smaller size fasteners may be used in place of larger, weaker fasteners resulting in weight and size reduction of the overall product. They provide longer service life in extreme environments, such as salt water, heat, acidic areas, etc. This results in great savings in maintenance by furnishing much longer service life than standard stainless steel or other materials. Resulting, in some cases, as much as four times the service life or more. 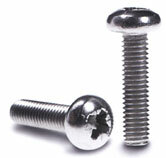 These high grade fasteners are truly green fasteners in this day of environmental awareness.